Since the Home Backup will not backup your MySQL Databases, you must also backup your MySQL Databases if you have created any. The procedures of backing up a MySQL database are very simple. 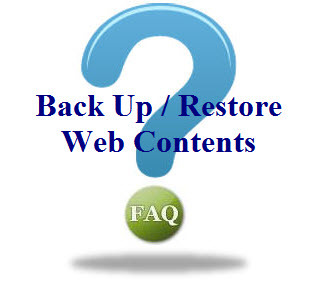 Select the Backup or Download/Upload backup file. Click the database under Download a MySQL Database Backup.